Relax and unwind after a day full of activities at Lake Achensee. While you enjoy the pleasant warmth of the sauna, your mind wanders over the fantastic mountain scenery – a world away from the distractions of everyday life. Sauna bathing can relieve tension and stress and gives an overall pleasant feeling of relaxation. 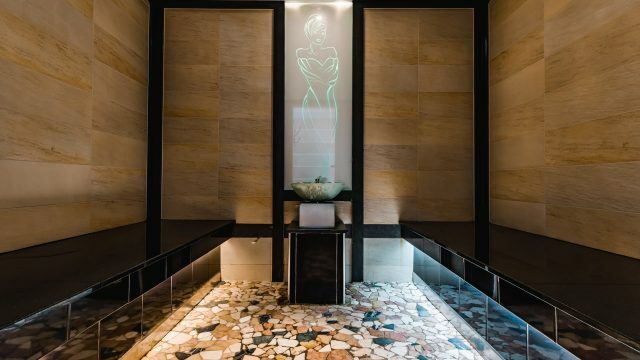 Enjoy the effects of essential oils in the aromatherapy steam bath, soak up the scent of fresh wood in the arolla pine relaxation room and the fragrance of herbs in the soft sauna. After sauna bathing or a hike the bubble foot bath provides welcome refreshment and regeneration with Kneipp effect. Soft sauna at 50 °C with the fragrance of local herbs. Take a deep breath and feel the power of Alpine herbs. Traditional sauna with 90 °C with a panoramic view of the Karwendel valleys. 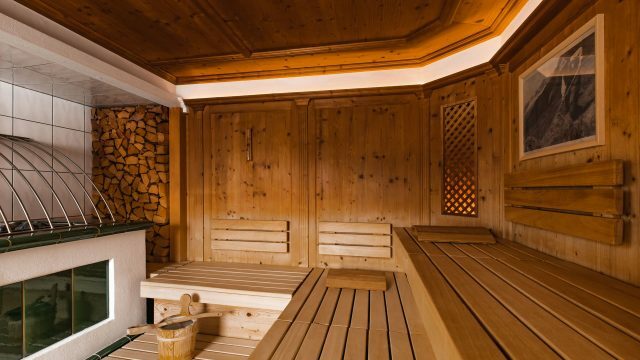 Very popular among sauna enthusiasts on cold winter days. 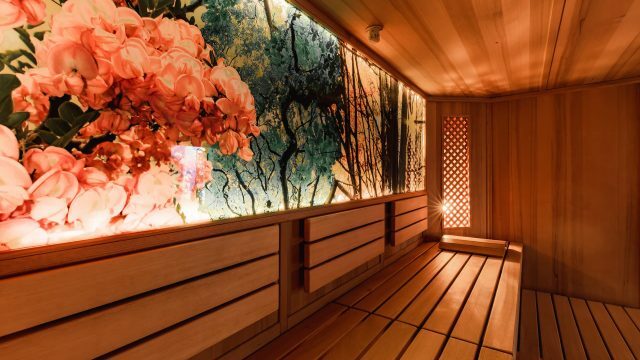 This gentle sauna experience will leave your skin soft and clear your respiratory system. The temperature of 45-47 °C is easy on your circulation. Drinking herbal tea or mineral water prior to sauna bathing will enhance the detoxifying and purifying effect. Finely dispersed brine combined with essential oils such as orange extract covers your skin. Mineral salts and trace elements have a positive effect on the metabolism. Your organism can relax, the cell regeneration is improved, and the bathing has a detoxifying effect. Cosy up and enjoy the luxury of just idling away. Take a nap, read your favourite book or just soak up the gorgeous view of the mountains and the lake from the spacious panoramic relaxation room or the arolla pine relaxation room.